Big Brother 19 spoilers tease Paul Abrahamian is working hard to get Alex Ow, current HOH, to put Mark Jansen on the block to target him for eviction during Week 3. 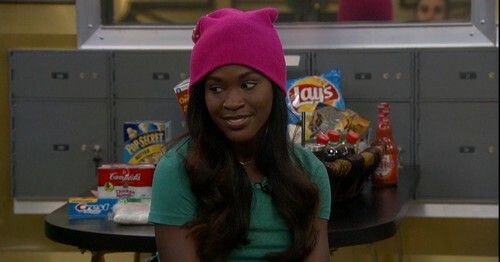 On Friday, July 13, Alex nominated Dominique Cooper and Jessica Graf for eviction. Originally, Alex’s plan was to take Dominique off the block and put Christmas Abbott up. However, Dominque made herself public enemy # 1 in the house, making it difficult for the BB19 house to keep her. On Friday night, Jason Dent won the week 3 POV competition, and he must decide if he wants to save one of the nominees from the chopping block. Jason has changed his mind several times, but right now, he claims he will be using the POV to save Jessica. Paul came up with a plan to remove Jessica off the block and put Mark as the replacement nominee. Alex promised Mark that he was safe and a pawn, but there was something about how hard Paul pushed for him to go on the block that seemed rather fishy. Flashback to 2:44 p.m., Paul tells Alex that they need to use the POV. Big Brother 19 spoilers state that Paul feels that if they don’t put Mark on the block, he will campaign hard and get the vote to get Jessica evicted. His argument made perfect sense but is it possible that Paul may want to get Mark out of the house and keep less threatening Dominique? Right now, Dominique feels defeated and like there is no one she can trust. She has withdrawn from the game and even talked about self-evicting. Early Saturday morning, Dominique and Paul argued and caused tension in the house. Big Brother 19 spoilers suggest that Dominique still is angry with Paul and refuses to speak to him. Even though things are pretty tense with Dominique, Paul wants to target another houseguest for eviction on Thursday, July 20. Big Brother 19 spoilers indicate Paul pushes Alex to put Mark on the block. He claimed the reason why was make sure Mark wouldn’t campaign for Dominique, but the BB19 fans wonder if Paul could be planning a shocking blindside. Big Brother 19 spoilers state that Paul may want to break up Elena Davies and Mark’s showmance. Jessica and Dominique are no real threat to anyone’s game, and both seem to be alone in the game with no real allies. Do you think Paul is setting Alex up for a huge blindside by getting her to put Mark on the block? Don’t forget to come back to CDL later for more Big Brother 19 spoilers, news, and live feed updates!